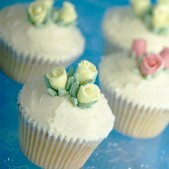 Delicious mini treats covered in lashings of delicious buttercream with rich yet delicate flavours. 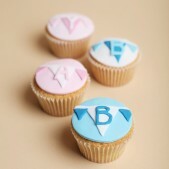 Our cupcakes are perfect for celebrations, events and just great with an afternoon cup of tea! Pop into our cake parlous to sample our cupcakes for a lovely afternoon treat. Cupcakes are increasingly popular additions to any party or event and can be tailored made to suit birthdays, weddings, christenings, anniversaries any so much more. Designed as miniature cakes, cupcakes are often the preferred cake of choice for weddings and birthdays as they are the perfect size to be eaten without cutlery or plates yet provide the ideal balance of taste and topping. Cupcakes can be decorated in very simple styles with traditional icing or they can be more elaborate with delicious toppings and frosting or delicate edible sugar flowers. They can also be a wonderful addition to a larger cake and are definitely fun to eat. We can create wonderful cupcake towers or your cupcakes can come in individual decorative boxes. 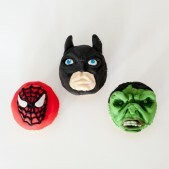 birthday cupcakes and any sort of novelty cupcakes you can think of. If you are looking to have a bespoke design for your special event feel free to contact us today with your ideas so that we can get to work on creating the perfect miniature cakes for you. Our cupcakes are made with only the highest quality ingredients and to ensure you receive the freshest cakes possible, we can deliver our delicious treats on the day you need them to any location in and around London so feel free to ask us if we deliver to you and check our delivery charges. 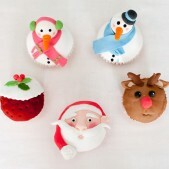 The cost per cupcake start from £2.50 and there is a minimum order of 1 dozen.